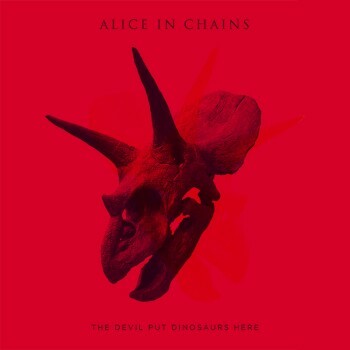 Hall of the Mountain King: Review: Alice in Chains, "The Devil Put Dinosaurs Here"
Much of the record strikes me as a less interesting retread of Black Gives Way to Blue. Case in point, the title track: The song opens with a menacing clean guitar piece from Cantrell that puts me immediately in mind of Facelift — “Love, Hate, Love” to be specific. 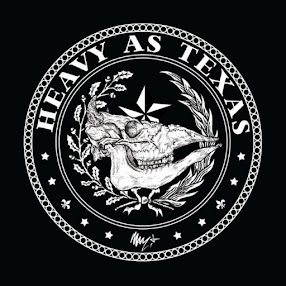 Mike Inez joins in with a bass line that’s wallowing in darkness. Instead of following that mood through, though, we get this sing-song vocal line. And while I appreciate it lyrically, by the chorus, I’m nodding off. There are exceptions. Inez rules “Stone” with that big, thundering bass line. I’m not crazy about the vocals on the song, to be honest, but there’s a great groove to it that reminds me of some of the band’s best work. It’s one of only a couple of tunes I can remember after I finish listening. “Phantom Limb” brings another bright spot with the driving, metallic guitar riff from Cantrell, one of the better vocal performances from William DuVall and one of the most memorable guitar solos on the record. Even it, though, kind of wears out its welcome by the end of its seven-minute run time. As much as I liked Black Gives Way to Blue, I had to admit to a few moments of sadness on songs like “Last of My Kind” and “Your Decision” that I dearly would have loved to hear Staley sing. That moment on this record comes on “Hung on a Hook,” which seems tailor-made for that warped and demented delivery. DuVall makes the attempt in places, but it really only serves to underline what it might have been. Granted, DuVall is an easy target. I’ll give him credit for his work on Black Gives Way to Blue, and I also acknowledge that he’s not really at fault for why I don’t like this record. Stepping into the role of a singer with such a distinctive and powerful voice is practically impossible. He can’t be Staley and is doomed to failure if he tries. But the vocals, at least for me, are the weakest link in this record. The harmonies here are technically solid, but they don’t have that same dynamic as the early records, and so many of the vocal melodies repeat similar themes and run together. It ends up kind of droning by the end. I know my opinion is not the popular one of this album, but I just don’t think it’s on par with Black Gives Way to Blue, and certainly not with Facelift or Dirt. I’m just not feeling a lot of energy or intensity from it, and without that dark intensity, it’s not what I want from Alice in Chains.